When the weather and visibility are good, we make a full moon flight. 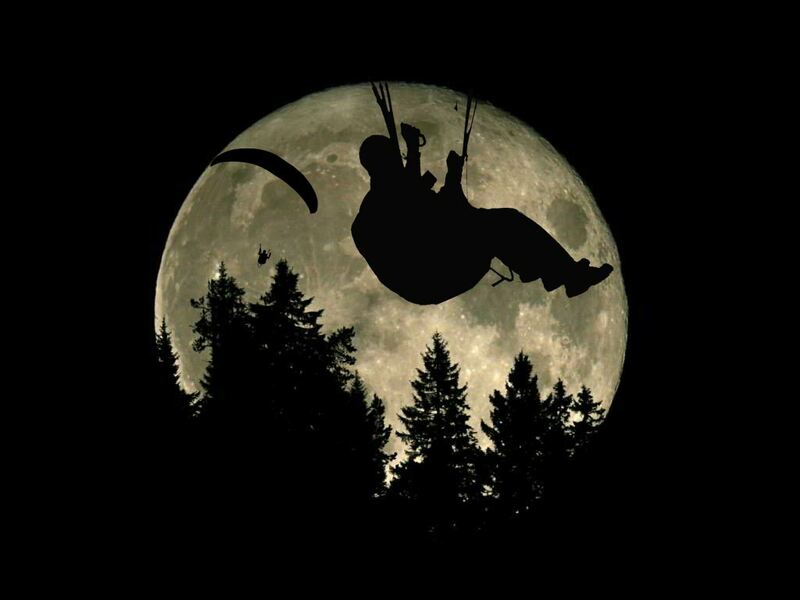 You are responsible for the legally required lighting on your paraglider. Three flashlights with wide cones of light tied together into a 360-degree round light are sufficient as illumination. Please register here, if you do not understand the announcement in Swiss German on the info number 043 535 94 18.